Spain is on the verge of creating a special law to enable cannabis clubs to operate legitimately. As Germany considers legalization of medical use, Italy’s military goes into the production and distribution business, and Croatia begins distributing imported medical cannabis oil from Canada, an entirely different kind of reform is happening in Spain. There has been no official legislative move (until recently) to even deal with a new marijuana culture that is springing up, particularly in the bigger cities. Marijuana, even for medical use, remains technically illegal. That said, since 1993, per the decision of the drug prosecutor in Barcelona, cannabis cultivation for consumption in private clubs has technically been beyond the reach of the law, creating, just like Holland, an odd strain of a semi legalization. The Spanish Criminal Code explicitly prohibits the sale of marijuana, but not its consumption. In the grey spaces of that law, a new kind of marijuana culture has begun to emerge if not establish itself. While producing, selling or transporting marijuana is illegal for all reasons, personal consumption of it, plus the right to congregate, is of course perfectly legal. And in this space, private, non-profit cannabis clubs have flourished. Much like the underground private club loophole in other places (from the U.S. to the UK), cannabis clubs in Spain operate on a monthly “membership fee” basis, and allow members to join and smoke in private – as long as they are sponsored by another member. There are now 268 private cannabis-only clubs registered in Barcelona alone, supported by over 200,000 private citizens. Where the clubs run into potential legal issues, however, is larger scale production, transportation and distribution of the plant. Police crackdowns, particularly in the last couple of years, resulted in shutdowns of some of the larger clubs, along with prosecutions for drug trafficking for individuals. The frustration with the current situation is also growing. It is like saying that bakers can open a patisserie but cannot bake bread. The current situation is clearly untenable to most Spaniards – who see relaxing with friends and toking up as no different than getting together to drink wine. About 10% of the country consumed at least some cannabis in the past year. In 2015, during the country’s general elections, several political parties expressed their intent to legalize marijuana to control the growth of the black market. In addition to the illicit growing that goes on to support the clubs and for personal use, the country also sees a significant influx of hash from Morocco. This year, in September, Catalonia’s parliament introduced legislation to specifically regulate the production and distribution of marijuana that is bound for the clubs. Nicknamed “The Green Rose,” the budding law has the support of 124 out of 135 legislators. Before it was introduced in the legislature, a petition to pass the new law received a record number of private signatures. It is expected to pass next year. When it does, the country will be the first in the world, outside of Holland, to create a legal infrastructure that permits any kind of semi-public consumption (albeit within a “club” setting). Clubs would, however, be required to create a 15 waiting day period before approving new members – apparently an initiative specifically designed to limit pot tourism. Spain would also become, unlike Holland, the first place where cannabis clubs are allowed to legally grow, transport and distribute the cannabis they grow to “members.” In Holland, in direct contrast, all of the above are not legal, but coffee shops are allowed to sell it. If Spain is like anywhere else on the planet right now, it might be like Argentina, where similiar clubs are currently flourishing in gray areas of the law. 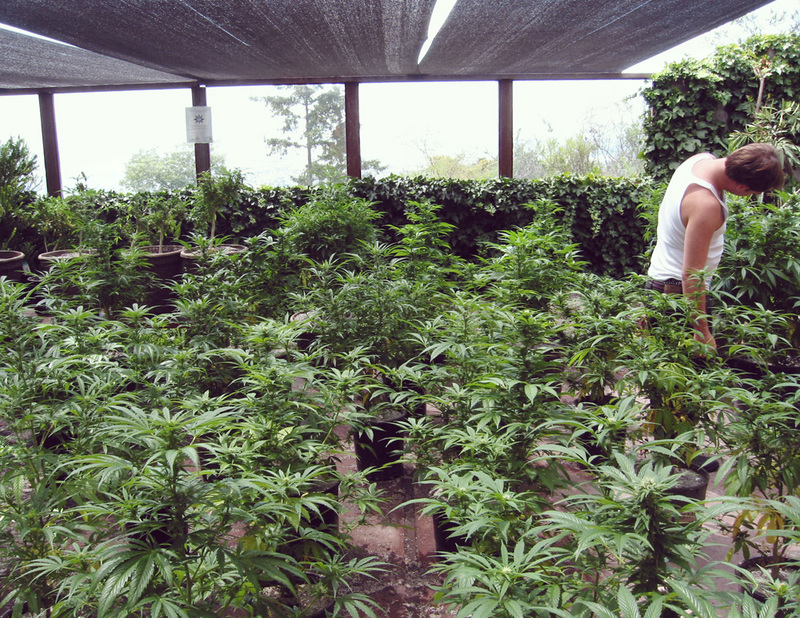 Unlike Spain, however, Argentina is also moving explicitly on the legalization of medical use. So what would passage of La Rosa Verda mean for the industry here and local customers if not those who hope to visit? It would clearly mean that cannabis clubs, as well as the cultivation and distribution that supports them, would become enshrined in Spanish law. This potentially could open the door for a commercial industry to begin to develop the same kinds of variety of consumables not seen outside Holland, Canada, and the United States – even if their only “customers” were the clubs themselves. How such businesses would be allowed to operate is another story, but they could clearly claim that their business was protected in the new freedoms the law would give to club operators. The law would also open the way for greater reform specifically. As of this date, doctors are reluctant, for the most part, to prescribe the drug for medical purposes. Medical and recreational use are lumped into one (although judges have tended to grant more leniency to medical users in the few cases that have ended up in court). The logic behind creating clubs in the first place was that membership in the clubs is age restricted – thus creating an atmosphere of “responsible consumption.” Further, medical users are still left relatively speaking, out in the cold. For now, they can go to the clubs to partake. However, coverage of their medication (as is afoot in Germany right now) is still off the table. The clear commercialization of the industry that the Green Rose law will undoubtedly create, will also place more pressure on the government to follow the lead of other countries and consider a special medical designation for the drug – as well as health care coverage for sick users. COULD SPAIN ENACT LEGALIZATION SOON? Given the current political trends in Europe as well as elsewhere, La Rosa Verda could certainly open the door if not morph into greater freedoms, particularly given the lack of distinction between medical and recreational users now. Pot tourism is also clearly on the horizon here, even if for the moment, the focus is on local consumers. The impact on an ailing economy, the added appeal to tourists, and a general cultural acceptance, all point directly to a new era of liberalization in Spain. And while "coffee shops" are controversial just about everywhere - even in Canada on the verge of full recreational legalization - it might be Spain who takes the concept to the next level.